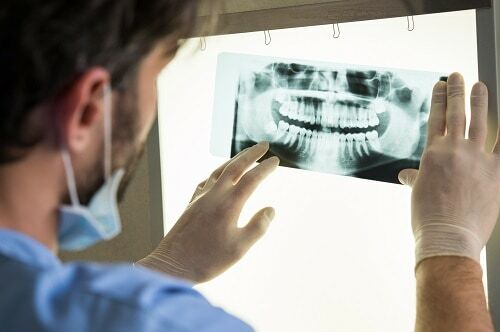 When you come to your appointments at our dental office in Alexandria, there’s a good chance we may recommend taking some x-rays of your mouth. And for good reason. Dental x-rays are critical in helping us detect a number of potential oral health problems early, often making treatment easier and more affordable. What our patients may not know is there are various types of dental x-rays that are appropriate to help diagnose different issues. In this blog, we cover some of the most common types of dental x-rays and why dentists use them. When referring to dental x-rays, or radiographs, we are either referencing intraoral x-rays or extraoral x-rays. Extraoral x-rays take a view of the entire mouth structure, including the teeth, jaw, and skull while intraoral x-rays are more about the details of each tooth. Each category of x-ray is beneficial in its own way, depending on what your dentist in Alexandria is looking for. Dental x-rays are incredibly safe as they emit a low amount of radiation. But that doesn’t mean you should go crazy and get as many as possible. How often you should get dental x-rays taken depends on your age and your oral health. If you’re at higher risk for decay, our Alexandria dental office may recommend x-rays at each visit twice a year. If not, we may only suggest them once a year. Either way, having x-rays of your mouth completed regularly will help keep your smile healthy. Accepting patients from Alexandria, Old Town, Del Ray and the surrounding areas.